Final Fantasy XV made his return at Gamescom. Through a surprising trailer and an Active Time Report fairly stingy and disappointing for many, the development team begins its final chapter. We were able to interview the director Hajime Tabata together with our friends from Final Fantasy World et Final Fantasy Dream. Finaland: Talking about communication and marketing. Since TGS 2014, you organize Active Time Report, inspired from Letter Live FFXIV. The first is an offline game. The latter is a MMO with frequent update. Are you sure it’s the best way to show FFXV ? 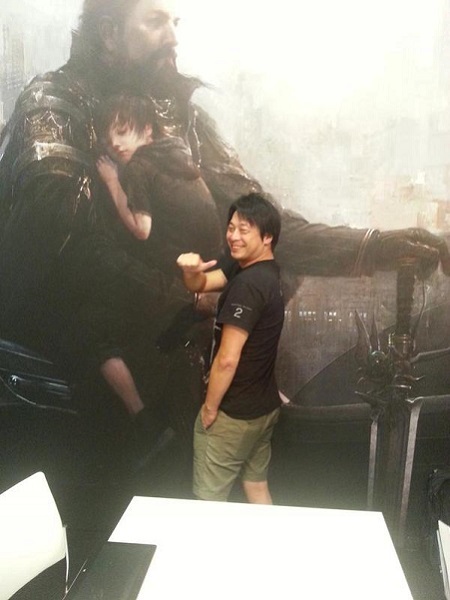 Tabata: The thinking behind the Active Time Reports wasn't "this is great for FFXIV, we want to do the same thing". Where this comes from is specific to FFXV. 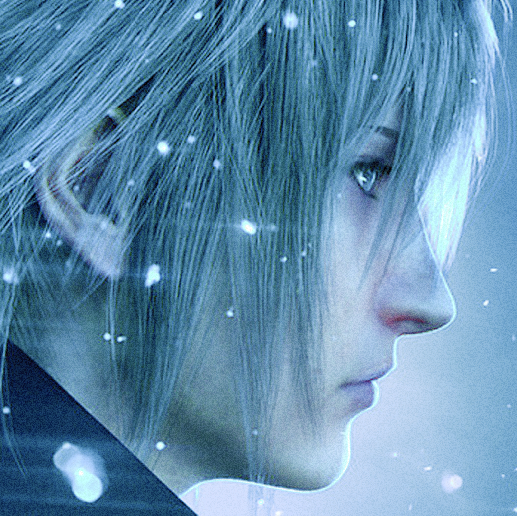 Earlier we announced we were changing over the game that was previously Versus XIII into FFXV. With this change, there was of course some confusion and a bit of concern from the fans of the game from the time it was Versus XIII. We thought the best way to address this was to be honest with them, to let them know what we were thinking, why we were doing this, and where we are aiming for. We discussed a number of options and what came up in the end was that the best way was to tell them straight and have direct communication. This process of communication with the fanbase is what we gained from doing these Active Time Reports, even though FFXV is not an MMO but a stand-alone title. Through the ATR and also the feedback from the demo we released, we were able to establish this two-way communication. I think it is a big success and it does contribute a lot to FFXV, to make sure it is what the fans really want. But of course, this is a new thing for us, and we are certainly not experts. I'm not saying it's working 100% of the time. We are going to make mistakes, and one of them was this week at gamescom. We underestimated the expectations people had and the kind of information they were looking for at this kind of event. Sure, we are going to make mistakes and disappoint a few fans in how we release our information. But I think it's important not to get depressed. We should think: okay, we made a mistake, how do we fix it? How do we make sure it is good next time, and have a good relationship with the fans? We are going to keep improving to the best we can. FFWorld: I was reading a previous interview in which you said it was normal for a game to change during its development period and that you were surprised by the negative reactions from the fans. However, I think this is related to the very special status of FFXV. Fans have been waiting for the game for a very long time and saw it change during all these years, which is very unusual because this is usually hidden from our view. I think this is where people's worries come from, because they may feel this is leading to inconsistencies within the storyline or revealing a lack of direction. Tabata: I really do understand that there are people who get worried. But as a game developer, I think the big danger is to get a full sense of confidence and try and make a game you can't deliver. Of course, we put a large portion of our lives into making this game, and we really intend to make it the most amazing experience possible, because it is basically us. So rest assured, because in order to achieve that, we are definitely going to try and avoid making a game that has all sorts of disparate elements that don't fit together and inconsistencies within the story. We are extremely careful about that. There are two very important things here. I just mentioned the first one: we have this clear vision of what we think FFXV should be, we want to make it the best possible game it can be, and to not compromise on what we think will please the fans the most. That is our clear mission. But secondly, we also think it's important to be polite to our userbase and to show our intregity in dealing with the changes from Versus XIII, so you understand why we did those. But these are two different things: letting you know why we change things is one thing, but keeping to our plan for the game is another, and we don't let those two get confused. Overall, when we changed over from Versus XIII to XV, we look at all the elements that were intended to be in Versus XIII and the plan for that game, and how these would fit into the new plan as FFXV. We really tried to preserve as much of it as possible. Everything we could move over and keep in the story, we did, and there's a lot of it. Obviously, some stuff just couldn't fit into the new plan. In these cases, we had to alter them in some way, remove them, or replace them. That is something we are not ashamed of doing, because we think they really needed to be changed. Now we have to try and get people to understand that in the best possible way. I hope you will understand. Also the situation with FFXV is very unique and I have learned one thing from this experience: when you release information about a game very early, as it was the case with Versus XIII which is a game that never really took shape, how the information is viewed by the world is very different to what we think. At the moment it goes out into the world, it stops being our thing and becomes something for the fans. It's just natural that they are going to get attached to these characters. How we handle the way people relate to the information we release is something that we have learned a lot about and that will be very important for the future. Of course, it is natural that games will change during development, because that's how games are made. In order to get that across, to decide how we tell people about these changes, we really need to have a strong position as well. That is what we learnt. FFWorld: Also, since you are revealing a lot from the behind-the-scenes of the game and you are showing doubts and hesitation regarding certain features, aren't you afraid that it reveals some sort of weakness on your side? I also feel that showing too much could "demystify" FFXV, because mystery plays a big part in the magic of discovering a new Final Fantasy title. Tabata: (thinking) I very much think that this open communication is not a bad thing. It's very productive when it comes to exchanging between the developers of the game and the people who are going to play it. Obviously, there is a bad side to that, and in some ways we may have caused concern and anxiety among the fans, and that needs to be addressed. That doesn't mean that this idea of communication is a bad thing, but that we really have to look at how we can communicate our information in a way that people can relate with, rather than giving up on it. The Active Time Report that we did at gamescom made me learn a lot about how the information is received and how we should provide it in the future. I think there is a lot to be gained from there, and that's why I want to improve rather than just give up. This two-way communication process, hearing the actual voices of the fans, is also a great motivation to continue making the game. There are 300 people in the development team, working on the PS4 and Xbox One versions, and it sometimes gets very hard to continue when we face a lot of problems. But hearing your voices really makes us push on through. We definitely think there is a lot to be gained from that open communication, both for the fans and for the developers. It's an important relationship because we need both positive and negative opinions. Both are very valuable. If we find out that the way we provide information is disappointing and worrying people, we need to fix that straight away. So we need to know. That's a benefit of this communication. To answer the second part of your question, I also agree with you that gaining information too early is a very bad thing. For FFXV, this is obviously a special situation, having started out as Versus XIII and having information released at that time. That's something we can't turn the clock back on. We have to continue and put a lot of effort to maintain that relationship with the fans to reassure them. For our next game, we would never want you to get information at such an early point, because it's counterproductive. But with FFXV, we have to continue and make the best of it, unfortunately. FFWorld: I have to mention that disappointment shows that we care. Tabata: Thank you. You are giving me a lot of courage. FFWorld: So don't give up. FFDream: During the last ATR, you said that airships could be added as a DLC. Earlier this year, you said the same about underwater battles. We are worried about it because it's very important features for the fans. Do you consider this two gameplay elements as optional or accessory ? Tabata: There is a difference in how important these two features you mentioned are. To start with airships, we are still trying very hard to get them in the final game... if we can. Ideally, if we had enough time and resources for the development, we would spend that time working out the technology to get airships into the game, making sure it all fits in and polishing it to the level it needs to be. We still may achieve that, because we really want to, but if we can't, we need a back-up plan, because unfortunately we don't have unlimited amount of time and money to do this game. When we changed over the project, we decided that we can't keep people waiting beyond 2016. We have to get the game out in the best possible state it can be at that time within the budget we've set. If we can't get it into the game at that point, we think the best option is to add it after rather than just give up on it. 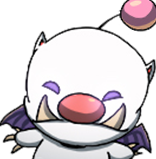 I made this announcement to let people know that we understand Final Fantasy fans love airships and that, if we can't get them into the game in the form they need to be, then it is better to have them later in the right form rather than force them in an incomplete form that would be unsatisfactory. Have you heard about our discussion with Avalanche Studios? You probably know about them, they are the studio working on Just Cause 3 which is also on display here at gamescom. So, we have started discussing with their central technology team, which is based in Stockholm, as we are looking to use each other's specific technology to further enhance the games we are developing. They have a special technology for the very vertical and seamless gameplay mechanics of their games, that we are really interested in. One of the major reasons why we started this discussion about possibly using their unique and high-level technology in that field is to enhance that one specific part of FFXV. If these discussions go well and if we manage to get something out of it, it could very much solve the problems that we are having, and that may allow full-scale airships to be in the game. If we made the decision to not include the airships in the final game, we maybe wouldn't need to go through these discussions and try and get that technology. But the reason why we pushing ahead to try and close the discussions to get that is because there are a lot of people like you out there who want to see airships in the game. We are trying to get them in in any way possible that we can. FFDream: Some of our readers are concerned about all the feedbacks you received after the release of Episode Duscae. Some people are afraid that you listen all the requests and the team lose his own vision of the game. What can you say to reassure us ? Tabata: We are very much aware that if we listen to every single opinion given, there is no way we can reflect all of those in the game, because we will get as many opinions as there are fans out there. We really have our vision of what we are aiming to do with FFXV, and this testing is meant to see if these objectives are being met, rather than getting feedback from everywhere. What we find the most important about this feedback is first of all to test the elements that we think are really good, to see if the emotional response to them is the reaction that we are looking for. If it is, it's brilliant. But if it's not, we think: can we polish this to make sure it is? If not, we change it to make sure we can achieve what we want to achieve. It's a very focused test. Hopefully, after reading that, some of your readers might be reassured in the way we use this feedback. It really is not about losing our vision at all. 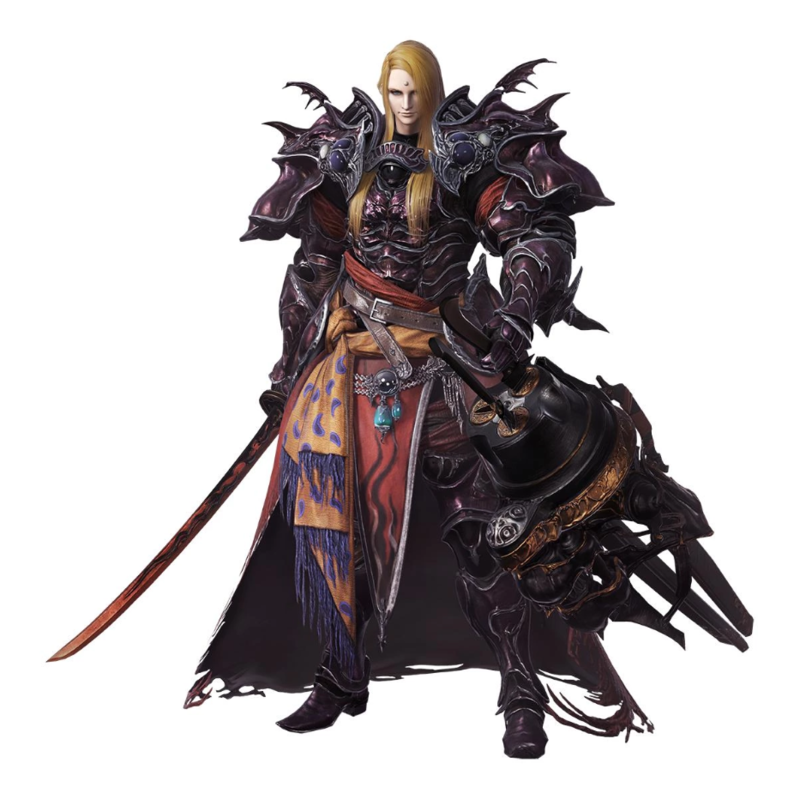 Finaland: Final Fantasy XIV showed a completely new primal called Ravana. Will Final Fantasy XV also showcasing a new original summon or will it stick with popular summon such as Shiva, Ifrit, and Leviathan ? Tabata: There is a certain Eidolon, one of the ones that you've seen previously, which appears in a completely new form. It's a very different take on the same old character. There is also a very good story-based reason as to why we are sticking to more traditional, familiar Eidolons in this game. The reason for that is because this time around, the Eidolons play a very big part in the story and are very much an integral part of the game world. So we thought it would be better to have the traditional ones, the ones everyone is familiar with, to see how they fit in the story and what is the backstory behind these characters, rather than having completely new Eidolons. The Japanese name for the Eidolons, "shôkanjû", literally means "summoned beasts". That certain image may not be relevant for FFXV. 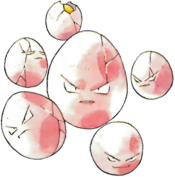 The way we look at summons in this game, they are not random animals or monsters, they are very intelligent creatures with their own thoughts and their own agendas. Hopefully people will have a lot of fun seeing this new take on how the Eidolons appear and fit into the game. Sounds quite interesting, doesn't it? FFDream: A few months ago, you said that Final Fantasy XV was still a part of the Fabula Nova Crystallis compilation but it will not use his specific terminology like "l'cie" or "Fal'cie" ... Despite of this, why did you decide to use this mythology for the FF XV project ? Tabata: There are two main reasons for that. The first is that the world of FFXV was originally designed with these elements and links to the Fabula Nova Crystallis mythology in mind. When we came to reajust the game and change it from Versus XIII to XV, we felt it was much better to keep them in there and incorporate them in a very natural way, rather than try and remove all of them at any expense. We'd lose a lot of the world and its attraction if we did that. But why we decided to remove all the specific terminology from FFXIII was because, if you start the story and we introduce these words and ideas from the start, people will think it's still very much part of the FFXIII world. So you'd lose some of the identity as FFXV, and we really want to avoid that. Instead, we decided to not use this specific terminology and to introduce the language of the game in an easy and understandable way, that anyone can follow when they get into the game from there. Tabata: There is perhaps a reason why you felt that about that area. The video footage we show there is an area that is still under construction, so it is obviously going to change. What we have done here is that we are trying to show new ideas and new areas from FFXV. In that one, you travel in the valley and in the swamp, which is the habitat of the Malboro. There may be other areas where you have monsters coming down from the skies to attack you. That's what we are trying to show here. But this isn't a finished location and a lot of the game is at that kind of stage at the moment, it's about 60 to 80% complete, and obviously now, these need to be further polished and enhanced to fit in the overall FFXV world and brought up to that top level of quality. Rest assured, it's being worked on. We just wanted to show something new. One of the other reasons why we are putting out information in that form, in that kind of in-progress video, is really down to the current stage of the game's development. There are different options about how to do this: one would be to focus on one area on the game and polish that to the finished level of quality, and use that to make a trailer, but if we did that it would really affect the overall development of the game and cause bottlenecks in some places. Instead, at the moment we are in a phase of fleshing out the game and filling in all the assets, and then polishing them up across the whole game, which is a lot more efficient way of doing it. Rather than focusing on making trailers that look great, we really work on the game as it should be worked on and showing that as our new information. FFWorld: Similarly, everything we've seen from FFXV until now was very realistic, but I was wondering if the game would also give that touch of magic and fantasy we usually find in the Final Fantasy series. Tabata: To reassure you, the construction of the game and the way the areas differ throughout the game starts out as a world very much based on reality. It feels more solid and more grounded in reality. As the game progresses, you will certainly more fantastic, otherworldly kind of elements. You will see these different tastes, this kind of magical and superb ideas that you see in previous Final Fantasy games will be seen close to the end of the game. It's all in there. This interview has been conducted by Final Fantasy World, Final Fantasy Dream et Finaland. A big Thanks to Jérémie from Final Fantasy World, Skypirate and Tus from Final Fantasy Dream. We also want to thank Square Enix France, Square Enix Germany, Square Enix Europe and Square Enix Japan for making this interview possible. Cette news a été postée le 11.08.2015 à 11h30 par Fat Chocobo. Cette news a été lue 21199 fois.